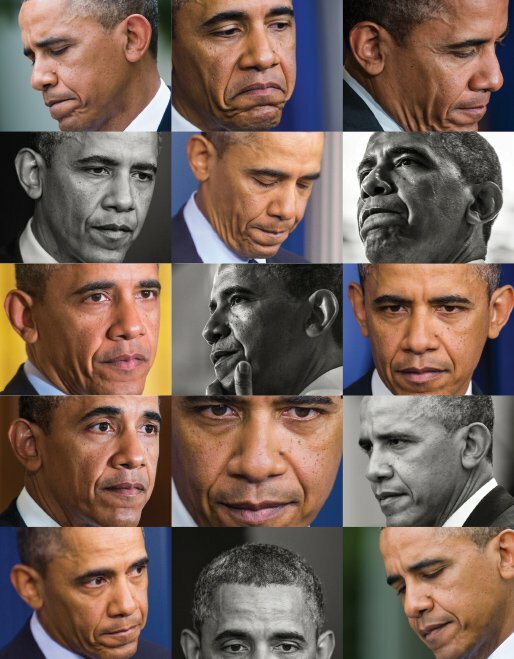 Barack Obama has always been a bit of a grump—and we admire that. There is integrity to his bursts of crankiness, how he refuses to fake-smile his way through Washington rituals that he considers abasing. But in the last few months, as he has been struck by a particularly strong strain of that seasonal bug, the Second-Term Scandals, his proclivity toward irritation has become problematic. According to reports, the president is sinking into a darker mood; his justiﬁable moments of peevishness have given way to a sense of victimization that isn’t quite Clintonian, but is still counterproductive. It’s perhaps the most banal piece of advice that has ever been dispensed, and hardly likely to change history, but . . . chin up, man; put some happy in your warrior. Yes, the IRS scandal was wildly overblown. Sure, your attorney general has let you down. But moping will get you nowhere. Self-pity may also account for the president’s slow responses to this current profusion of scandal. He clearly believes these incidents are keeping him from more important business—but if he continues to treat these scandals as mere distractions, then he will fail to account for their potential political destructiveness. And if he descends into a sense of fatalism, then he will lose his capacity to see all the many ways in which he can still shape the country. After all this, he’s still the president of the world’s most powerful nation—with rising sea levels to address, humanitarian catastrophes to abate, and a regulatory state to wield. People still like and admire him. It’s time to get on with it.